A gritty military SF page-turner sure to please fans of intrigue and space combat. Humanity has spent decades carefully establishing a quiet foothold in an uncaring galaxy brimming with hostile powers. That all unraveled six months ago when Captain Victoria Marin and her crew of Vultures stumbled into the center of a conflict between two of the galaxy’s three apex civilizations. 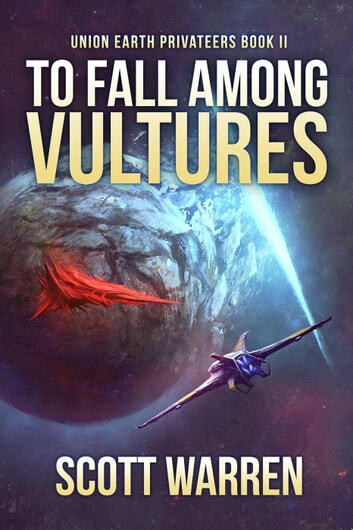 Eager to get off the intergalactic radar, the Vultures spent the last six months laying low, running routine salvage and recon missions for the Union Earth Government. The scavenged xenotech they and the other privateers ship back to Earth are crucial to securing humanity’s place among the stars. But fate has other plans for the Vultures. When an alien Commander shows up on her doorstep offering Earth its first true defensive alliance, Vick has no choice but to pledge her crew of crafty privateers to their cause. 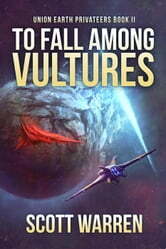 Vick and her Vultures are drawn into a grudge almost a thousand years in the making, and survival for one race could mean extinction for the other. Sci find fresh new Brill!! OK so just read both Vulture books back to back in the past week. I have been reading Sci first etc for 35 years and this is a belter of a scenario! More please! I have never reviewed much in the past so doing this one speaks for itself. Like the previous book in the series I am left wanting to read more.